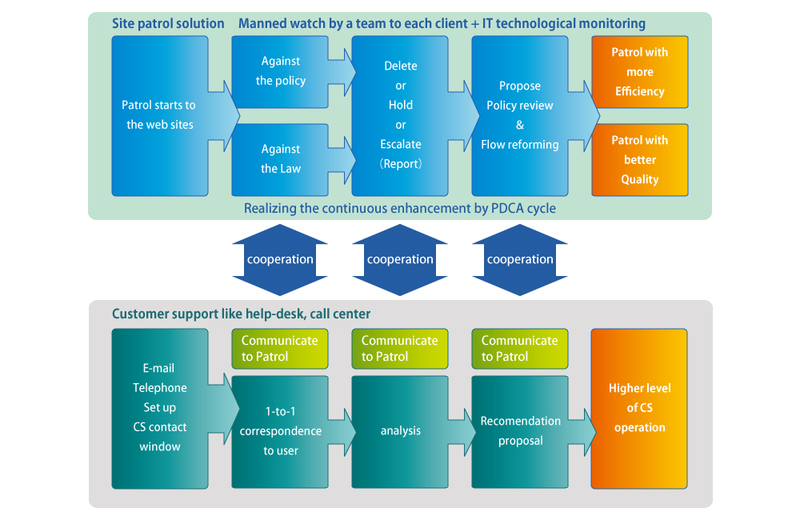 Real-time website patrol is a combination of a manned operational center with IT technological monitoring and customer support e.g. help desk. This serves as the main function of our Site Management Solution and is operated on the Deming circle (Plan-Do-Check-Act), providing your company with an optimum service. The internet is a lot like our universe in that its myriad of information is vast and yet to be discovered by most. Fortunately, we can provide ways to both discover the unknown and protect the known. With more active internet-connected devices than there are people on the planet e.g., smart phones, smart watches, smart TVs, game consoles, etc., security is a vital priority when transmitting sensitive information across many platforms. In addition, our ever-increasing need to remain connected via consumer-generated media i.e. social networking services, e-mail, blogs, and bulletin board services etc., securing information is critically important for companies worldwide. However, with an increasing demand for internet connectivity, an increase in security needs to be met. Security flaws need to be addressed to help protect company policies, assets, company image and above all else, the law. Our teams are professionally trained to meet the standards required to uphold security measures across several internet-based platforms. Our secure monitoring centers operate 24 hours a day, 365 day a year. This includes network monitoring, customer support help desk, and proposed solutions to further enhance your company's security at an affordable price. Operation entrance will have an official entry/exit in the security rooms and in the standard data center. Regarding network security, your company and our operation center will interact on a dedicated line or IP VPN. This interaction will use standard data encryption methods such as a Secured Socket Layer (SSL). However, imported data in e-mail attachments will not be subjected to our secured server connection. Firmware settings are updated periodically. The aforementioned aspects of our network security are guaranteed to be consistently implemented. Always connected with a secondary internet connection during emergencies. Since July 2005 GLOVALEX Okinawa Co., Ltd. is certified with the international standard for information security management [in compliance with ISO / IEC27001: 2005 and JIS Q 27001:. 2006]. The authentication certifies the company's high level of information security management and maintenance. In order to continue to provide more secure, high-quality solutions in the future of information maintenance and security management, we will strive for constant improvements in the quality of service.